J. Daher Air Conditioning & Heating Corp.
Quality Painters by IBD, Inc. Comment: Navien on-demand boiler working perfectly but zones valves from 2 of 3 zones not stuck on/open. 1 zone stuck open a couple of weeks ago and now a second has stuck in the open/on position. I disconnected the wire leads to these valve and the heat has gone off. Having been party to installing this system, my assessment is to replace/repair 2 of the zone valves, maybe all 3, and run checks on the 3 zone thermostats. Comment: We have leaky rusted copper elbow and leaky automatic air bleeder. Comment: I would like to get an estimate for repairing my gas boiler. Comment: Old system is a natural gas bolier with cast iron radiators. 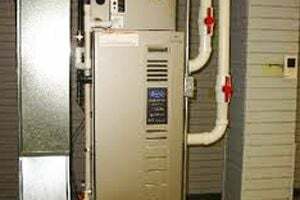 I am looking for estimates on a replacement natural gas boiler, 60K to 80K BTU, efficiency rating in the high 80's to low 90's, and also want to go to a baseboard mounted type radiator(s). I look forward to you being able to take some home/room size measurements, discuss the BTU rating that you recommend, discuss the brand names that you can service and supply, and also discuss the ROI for these units. Thank you for your call and estimate. Comment: Annual home heating service check up & any necessary follow up. Bedford Hills Heating & Furnace Contractors are rated 4.78 out of 5 based on 1,530 reviews of 37 pros. Not Looking for Heating & Furnace Systems Contractors in Bedford Hills, NY?